This is not a difficult assignment, but it can make your experience with Linux and VirtualBox significantly simpler. If you set up the VirtualBox Guest Additions in Linux, you will find that you have better control over your virtual machine. In particular, you will find it easier to resize your desktop or view it in full screen. You should also have better control over the mouse. Again, this is not a difficult assignment, but I suggest that you do set up the clipboard so that you can copy text back and forth between Windows and Linux. Just type cd and then press enter. That will take you to your home directory. Use Geany or some other text editor to open Guest.txt. Block copy its entire contents. 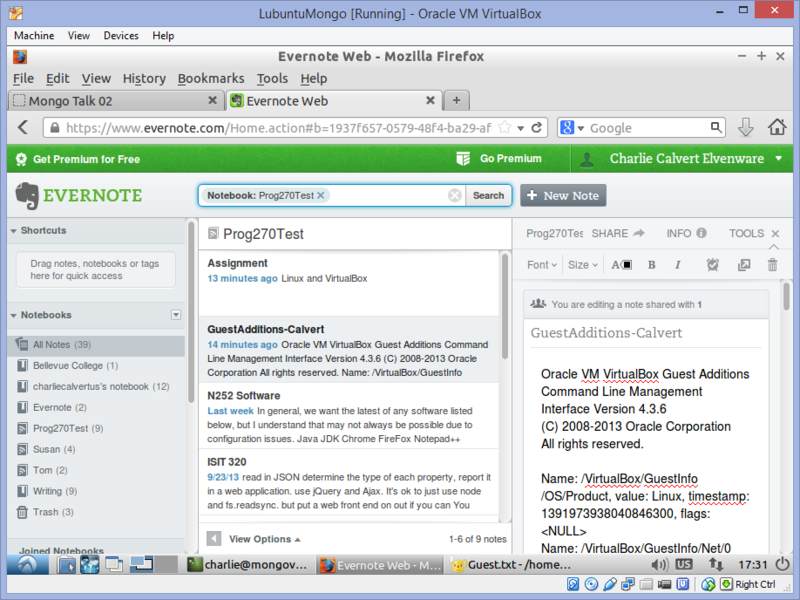 Now open the browser and sign into Evernote. Create a new note in your Evernote shared folder from the Online Presence assignment. Call your note GuestAdditions-LastName, where LastName is your last name. 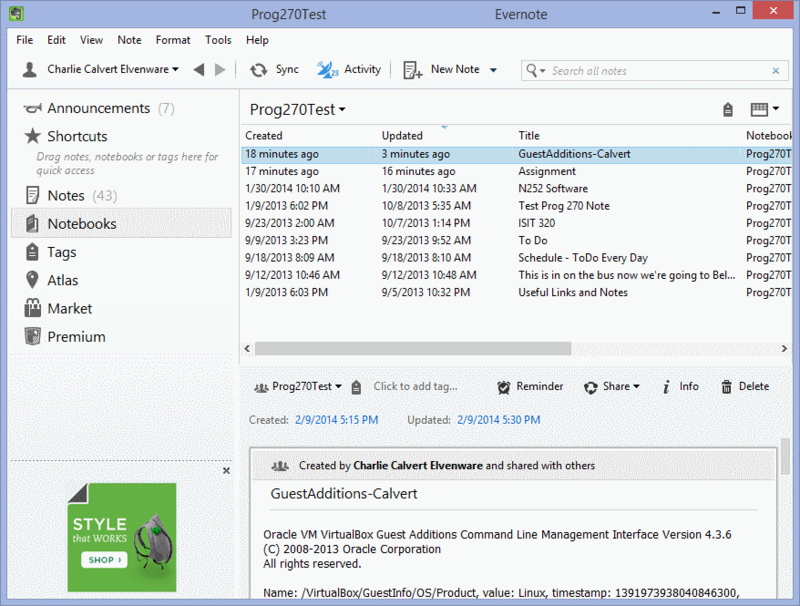 To submit the assignment, provide a link to your Evernote folder.